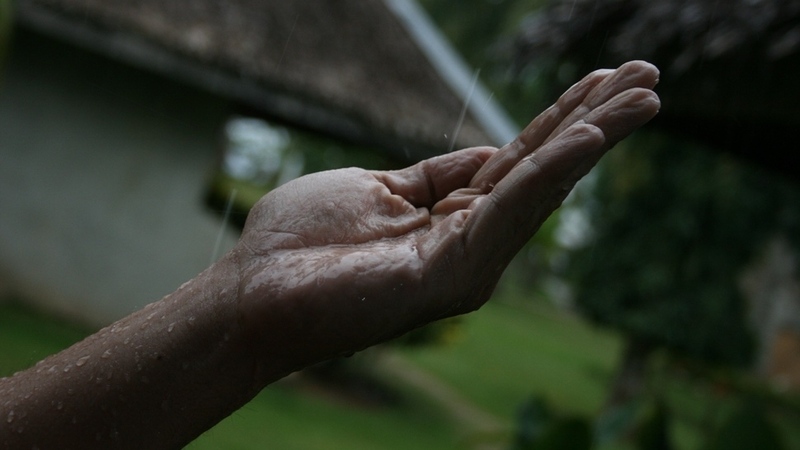 Why Do Fingers Wrinkle When They Get Wet? : The Two-Way Common knowledge says it's because skin absorbs water, but a scientist proposes a new, evolutionary theory. We know you've asked yourself that question in the headline and common knowledge dictates that the reason your fingers look pruney when you're in water for too long is that the skin absorbs water. Changizi thinks that the wrinkles act like rain treads on [tires]. They create channels that allow water to drain away as we press our fingertips on to wet surfaces. This allows the fingers to make greater contact with a wet surface, giving them a better grip. Scientists have known since the mid-1930s that water wrinkles do not form if the nerves in a finger are severed, implying that they are controlled by the nervous system. "I stumbled upon these nearly century-old papers and they immediately suggested to me that pruney fingers are functional," says Changizi. "I discussed the mystery with my student Romann Weber, who said, 'Could they be rain treads?' 'Brilliant!' was my reply." In the comments, Clear Skyy asks a fascinating question: "... why does it take so long for the 'treads' to become active?" We got in touch with Changizi and he says the only part he's worked out theoretically is that fingers form "near optimal drainage networks" and that by comparing pictures of pruney wrinkles, he's shown that they all have that "signature morphology." His thought on Clear Skyy's question, though, is that the time it takes for treads to emerge seems "reasonable" in that it wouldn't be ideal to have them come out when you have incidental contact with water, like when you're eating a fruit. Rain treads should "come out" when it is more likely that it's really raining and/or just has rained, where one will get sustained water contact for many minutes at a time (and thus sustained benefit from rain treads). Now, that sounds "reasonable" to me, but I don't yet have a nice theoretical account of how fast would be optimal for wrinkles to appear (or disappear). That is, with some theoretical and empirical work, one might imagine being able to argue that the optimal wrinkle time should be X minutes (as a function of variables such as the habitat wetness, the animal's behavior, and others). I do not have such a framework at this point (although it's the sort of thing I can imagine trying to ferret out).